5 More Virtual Worlds for Kids Article - Virtual Worlds Land! Rate this Article Guide your child into enthralling virtual worlds, from thick jungles to a playground in the clouds. We feature five more virtual worlds for your young one to explore, enjoy and have fun with. Virtual world games are great to fuel your child’s imagination and let him experience things that might not be possible in the real world. We’ve recommended the best virtual worlds before, but as more games are added every day, we’ve also discovered five more that your child might enjoy. Petra's Planet is a safe gaming environment where your child can choose a character and explore different places around the world, play card games, earn game cash and go on quests to accomplish different things. As your child completes tasks and wins games, his kid power increases, unlocking more features of the game. Petra’s Planet is also educational while being fun, and your child will learn useful information about nature and the real world. In Shidonni, your child can draw his own character or choose from his favorite toy or animal to become his character in the game. After drawing or choosing his character, the image comes to life in a beautiful animation. He can then make a home for his character and draw its own food. In the flying islands of Shidonni, he can play games and join daily events where he can interact with other players. He can also join missions, but these are limited to two per day to regulate play time. 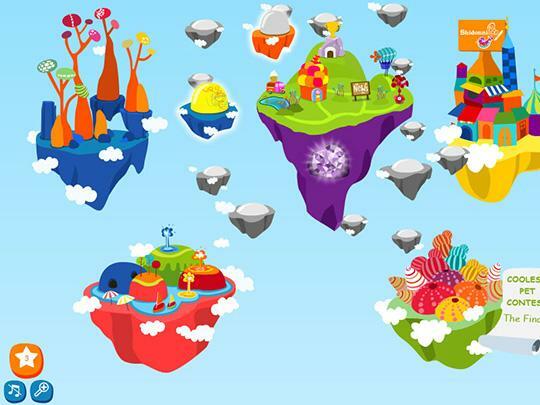 Your child will have a blast creating a character called Webbli and hopping among the clouds in this colorful Webbli World. The chat feature is kid-safe and animated, so your child can view his character “talking” with others after typing in the chat box. When he’s not out talking to the other characters, he can go to his very own home called a WebbliPod, where he can add furniture and other fun decorations. Webbli World is an interesting game environment where your child can explore and interact with cute and interesting characters. There’s also an earning system where your child can earn Webbles, which can be used to buy stuff from the in-game store. Movie Star Planet is mostly aimed for young girls and boys who are curious to know what it’s like to be a movie star. In this glamorous recreation of show business, your rising star will share the spotlight with other celebrities. But it’s more than just a fun night at the movies! Your child’s character also earns Fame Points and Star Points that can be used to shop for clothes, buy cute pets and play exciting games all in a vibrant world where your child can shine like the superstar she'd always wanted to be. Secret Bear World is a fun place for your child to explore. 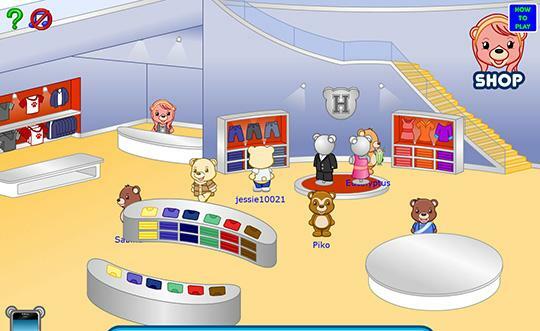 In this game, your child can choose from seven different bears as his character and then use a Bear Phone to navigate Secret Bear World, go to his own bear home, buy toys from Mr. Fuzzpants Toy Chest or play games like Rocket Bear and Ninja Lamp. There’s also a custom chat mode where only wholesome language is allowed, and your child will enjoy a soothing background music that’s rare in virtual world games. Choosing the perfect virtual world for your child where he can play safely and learn new things is important for any parent. That’s why these five virtual worlds come highly recommended, as they cover a variety of interesting themes that your growing learner might be interested in. Do note that these worlds can have in-game purchase offers during the game or a required upgrade to unlock certain features. However, all these games are still free to play with lots of levels and activities to keep your child engaged each time he plays.